“This can’t be right.” I’m pushing my way through grass so high there are seeds at the base of my neck. A moment before, I was certain I saw a path there but doubt is creeping in. Is it time to turn back? Shouldn’t the path be veering to the right to loop back? Didn’t the staff say this was an easy trail to follow? And what happened to the Namibia of lifeless deserts I fell in love with? One month earlier I was hiking through arid rockscapes, surprised at spotting green plant life. Now I’m fighting through plants nearly as tall as I just to find a trail. 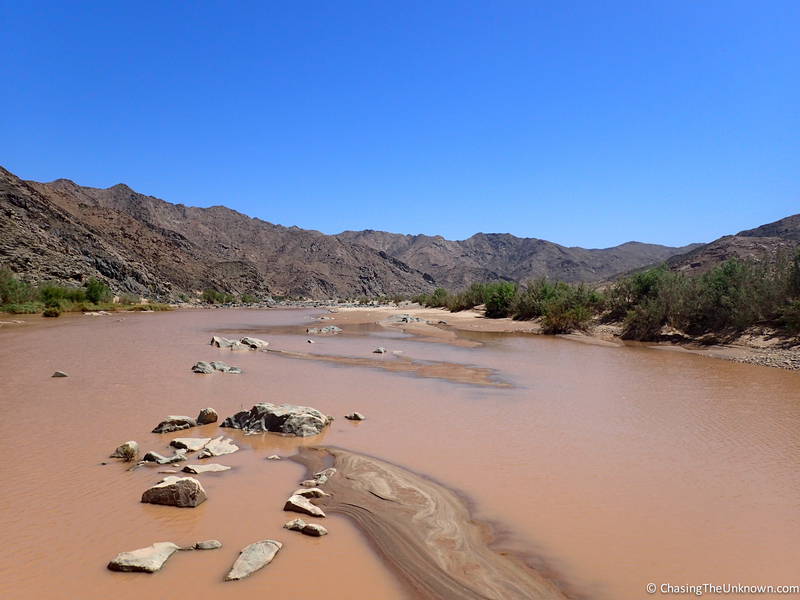 Hiking in Namibia, it seems, is a completely different experience based on rainfall and latitude. Multi-day hikes in Namibia are only open during months of the year when flooding is unlikely and temperatures are less likely to cause heat stroke. I wasn’t there during that window so didn’t have a chance to hike in the Fish River Canyon or explore the heart of the Waterberg Plateau. I was limited to short hikes, the longest of which was just under 15 km (9 mi). We managed hikes in Gondwana Sperrgebiet Rand Park and the Waterberg Plateau but I can’t in good conscience dub any of our other walks hikes. 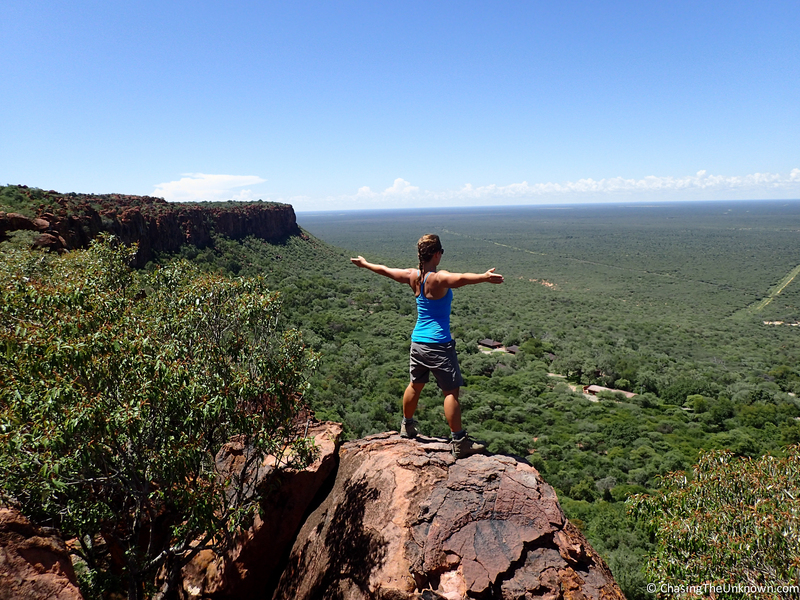 All this to say that there’s far more to know about hiking in Namibia than I can share. A stop near Aus was not in any discussion I had before arriving in Namibia. It came up on our first full day when we looked at the map and heard from others at our campsite that the road from where we were (near the South African border post at Noordoewer) to there was, indeed, possible for a sedan. The decision to go meant we’d save the Fish River Canyon for the end of our trip, something I worried we’d wind up having to cut. 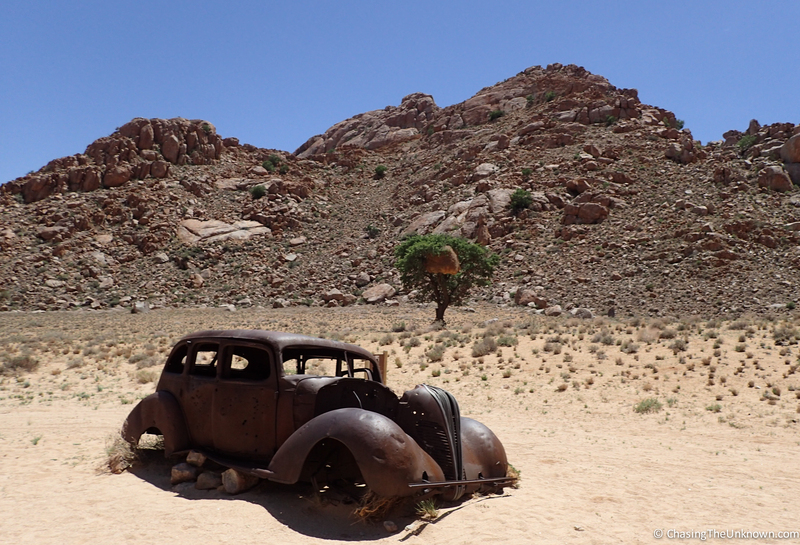 But always up for an adventure, I was game for taking this alternate route to Lüderitz. The park is privately owned and home to Klein-Aus Vista, a campsite and hotel that attracts tour groups and road-trippers alike. Permits to hike cost 40NAD (about $2.50 when I was there) and include a map of hiking and mountain biking trails. We hiked from one trail to the next starting and ending at the campgrounds. Aside from the complete lack of shade, the hike was great. The trails were well maintained with easy-to-spot arrows color coded for each trail. The terrain was fairly flat with a few hills but nothing strenuous. Given the heat, that was a good thing. Trails wind past WWI ramparts and a bullet hole riddled car that’s been sitting there since police chased and shot escaping diamond smugglers in 1934. Legend has it that the diamonds were never found and the ghosts of the two thieves haunt an area called Ghost Valley (Geisterschlucht). There are more than 100km of trails in the park so there’s plenty to explore. Campers can use the hotel’s pool, a welcome respite after a long hot hike. Had I known then that this would be the best hiking we’d find in Namibia, I might have lobbied to stay another day. 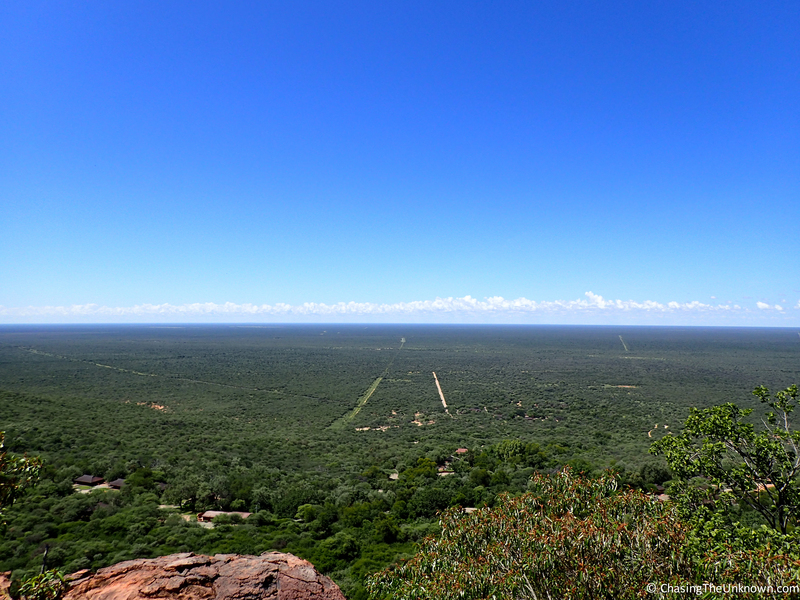 Unlike Aus, the Waterberg Plateau was on my radar when we set out for Namibia. Because most of the hiking trails wouldn’t be open to us, I was ambivalent about going. Yet after Etosha, where we spent most of our time sitting in the car searching for and ogling animals, we were both eager to stretch our legs. There are a number of private game parks, campsites, and inns near the Waterberg Plateau but we opted for the only one inside the park: Waterberg Camp run by the NWR. I don’t think I’ve written much about the NWR yet so excuse me for a moment while I go on a tangent. Namibia Wildlife Resorts has a monopoly on accommodation inside Namibia’s national parks and the quality of campsites differs greatly from one to another. All are overpriced. With few exceptions, the customer service is what you’d expect from an entity that has a monopoly: terrible. On the plus side, there’s always electricity and running water at or near your campsite, both of which are welcome. Yes, you can charge phones and cameras in the car while driving but if you’re not running the car for a few days, access to an electrical outlet is invaluable for those and other items (e.g., a camping fridge). A tap at your campsite makes cooking and filling water bottles significantly easier than schlepping to a bathroom or using bottled water. Some of the NWR sites also have communal kitchen facilities for washing and cooking. You still need your own gas stove and cooking utensils but if it’s pouring rain or the wind is howling, having a shelter in which to light that stove is a welcome option. Waterberg Camp has the nicest bathroom facilities of any NWR property we visited and the new buildings are reflected in the price. The grounds, however, could use some attention. The trash bins lack baboon-proof lids so every morning starts with a troop of baboons running into camp, knocking over bins, and searching for food. They’re brazen animals who steal from tables if people aren’t vigilant. 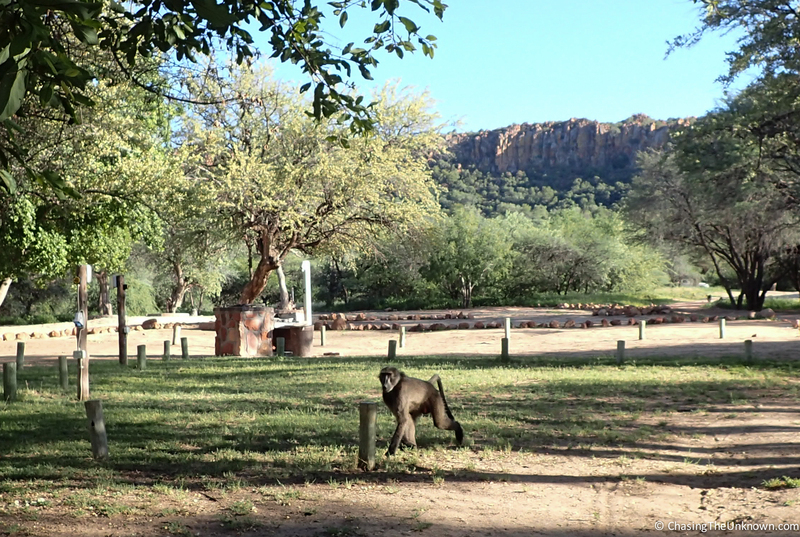 We watched one couple lose a bottle of cooking oil – something I can’t imagine the baboons enjoyed drinking. A member of the staff is handy with a slingshot and his appearance alone is enough to send the baboons running but he isn’t always there. Baboon-proof lids would be a minimal investment by the NWR but I suspect years will pass before they bother. One final note about NWR: it’s technically separate from the MET (Ministry of Environment & Tourism) but we often found NWR employees collecting MET fees and rarely saw MET officials inside the national parks. 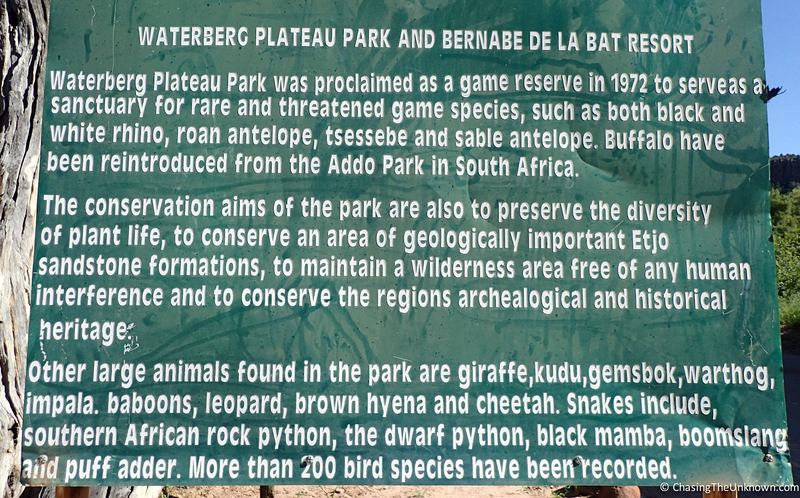 Waterberg was one exception. Black mambas and puff adders are deadly. From the Waterberg, reaching a hospital in time for antivenom after a black mamba bite would be nothing short of a miracle. 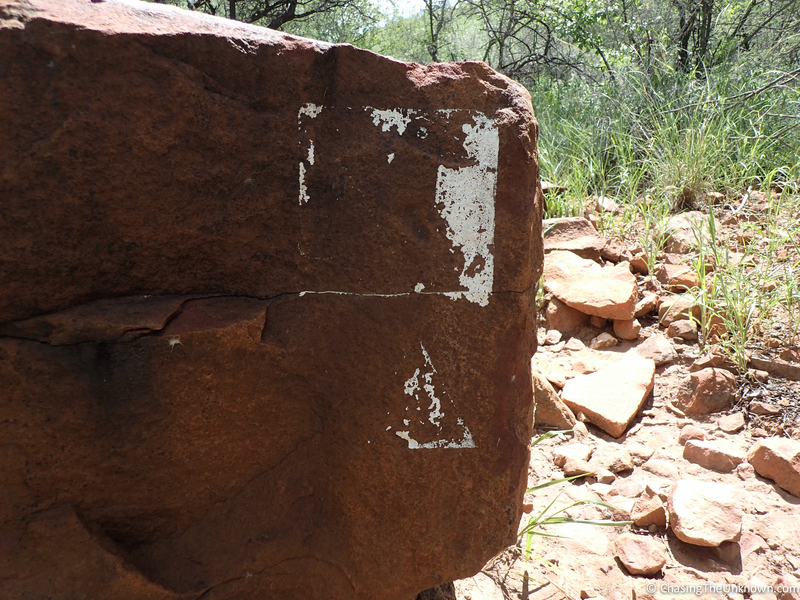 Ok, back to hiking, the reason we went to Waterberg and allegedly the subject of this post. A few kilometers of trails are accessible year round but the longest and best are only open April-November. Being there in March, we could use only a few trails and between us, we covered all of them. Many of the trail markers were useless and a number of trails were so overgrown that they essentially ceased to exist. 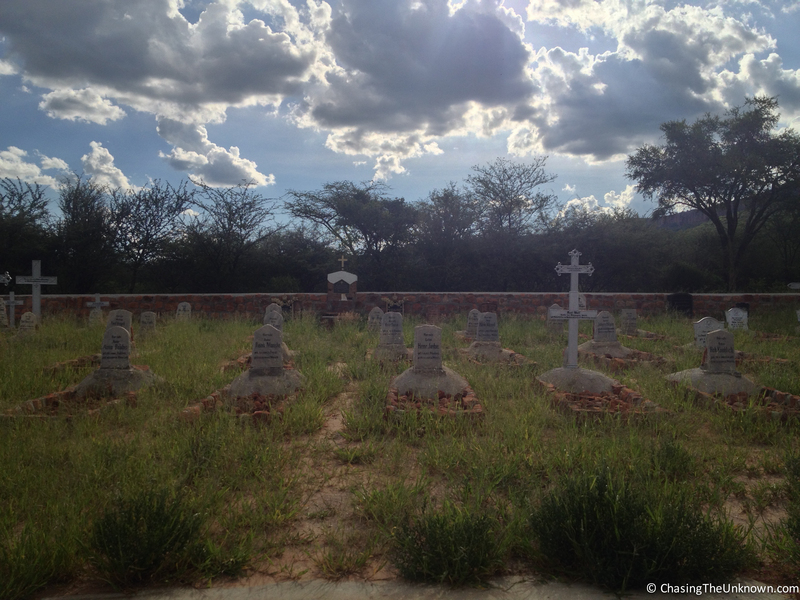 I managed to find the cemetery for German soldiers who died during a 1904 war with the Herero. A guestbook there includes an introduction by a German-Namibian group who sought involvement from the Herero to establish a monument to Herero victims. But the Herero are not interested, stating they believe it an inappropriate place for any such remembrance and preferring to remember in their own fashion. Regardless, comments from visitors bemoaning the lack of a Herero monument pepper the book. Together, we managed to hike up the plateau along the best maintained trail in the park but then ventured to what staff said would be a good 3km loop. The loop, however, went off the map so if there were forks along the way, we’d have to trust the trail markers. And this is when we wound up bushwhacking. Much later than we should have, we recalled that deadly snakes inhabit the park and that without being able to see where our feet were going, we were taking a pretty stupid risk continuing. According to the MET officer I spoke with later that day, staff repaint signs and clear all trails before the April 1st opening of the long trails. He did not seem to care that some are open year-round and that visitors pay the same fee regardless the season. He also told us that “everyone” knows one of the trails I’d tried to hike the day before is overgrown to the point of disuse. Funny that the NWR staff member who gave me a map and recommendations for a good hike failed to mention that. The Waterberg area is lovely and there are all sorts of animals to spot including dik-diks that are non-plussed when people walk by and some beautiful birds. The part of the park not accessible half the year is also home to larger animals including rhinos, sable and roan antelope, cheetahs, and buffalo. We’re fairly certain we saw the footprints of a leopard and we had plenty of warthogs and banded mongooses in the campsite. The short hikes along maintained paths were pleasant enough but not what we hoped for. 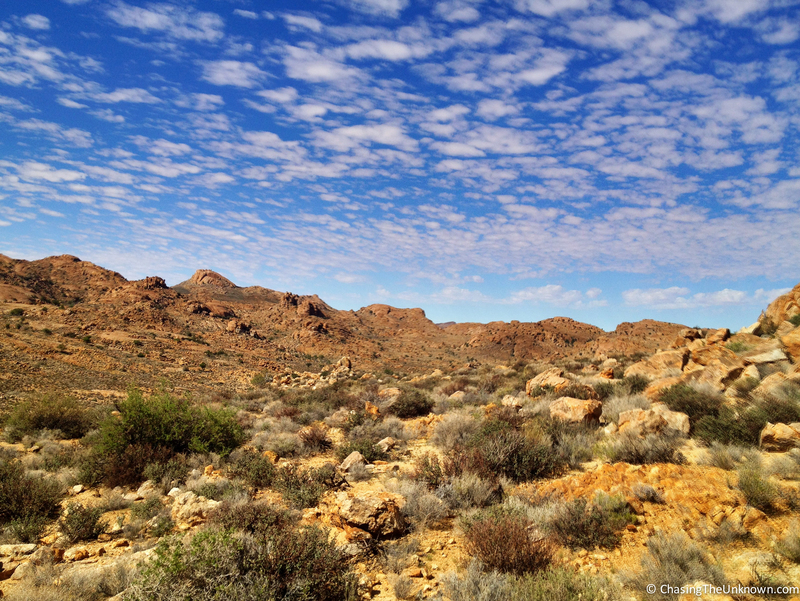 When it comes to hiking in Namibia, visiting at the right time of year is crucial. Because if you don’t, you may, like me, be left wanting.